Summer is almost upon us and there's a packed calendar of events in June with the start of Northumberland's County shows and Summer festivals. We'll highlight our top events this month along with the best gardens and places to visit to help you make the most of your spare time. There's an in depth listing of what's on in the week ahead on our Events This Week page. It's crammed full with even more ideas for things to do and is updated weekly. If you would like to receive our monthly newsletter including an overview of what's on, reviews and more, just let us have your email address here. This is a really special year for artists to join this most popular and accessible event, as the Art Tour shall also be part of the Festival of the North East’s programme of events throughout June, celebrating the region’s creativity and innovation. As well as showcasing the North East, the festival also heralds the return of the Lindisfarne Gospels, which begin a three month residency at Durham University on July 1st. Running every weekend in June the Art Tour is a great opportunity to discover Northumberland's most talented people, find out more on their website. Taking place on Monday 4th June 2012, this is the last time the show will be held at Tyndale Park in Corbridge. It's a huge show and a 'must do' event of June with 25,000 people expected to attend and enjoy the show. There will be showing classes for Cattle, Sheep, Light Horses, Heavy Horses, Goats, Alpacas, Shearing, KC Dogs, Poultry, Rabbits, Stick dressing, Competitive Home Crafts, Cumberland & Westmorland Wrestling. Other attractions will include The Journal 'TASTE' event with top North East Chefs, 300 Trade Stands - from large Agricultural Machinery, to delicate crafts, Falconry displays, Grand Parade of Livestock, Spectacular Main Arena Acts, Full working Milking Parlour, Horse Shoeing Demonstration, Live Music, Meet the Hounds, Beekeeping demonstration and a Funfair! Don't miss this wonderful show, visit their website for a full timetable and to buy tickets online. 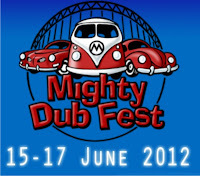 This wonderful event takes place from Friday 15th to Sunday 17th June at Druridge Bay Country Park. It's a fantastic day out (or weekend if you like camping) for the whole family with all types of VW's on show, live bands, a dance zone with DJ, a buskers stage, hotrods, kids activities, trade and club stands, a licensed bar, a full viking tented village with combat demos and loads more! You can win family day tickets and a kayak session in our competition now! All we need is your name and email address, visit our competition page to find out more. Towards the end of May the Azaleas give way to the many thousands of Rhodedendrons at Cragside House, Gardens and Estate and continue to bloom well into June. It is a quite astounding display of colour and the sheer magnitude of the estate can't fail to impress. The National Trust property will open late on the 6th, 7th and 8th June to give you even more opportunity to visit and enjoy the fantastic displays. The fourth Rothbury and Coquetdale midsummer Walking Festival takes place from Saturday 23rd June to Saturday 30th June. There are a whole host of walks in and around the beautiful Village of Rothbury and the stunning Northumberland National Park. There will be guided circular walks, taster sessions (including GPS and Nordic walking), a Bush Tucker Trail and walks in Cragside. Visit their website for more information and to join a walk. The popular annual Alnmouth Arts Festival runs for the weekend of Saturday 23rd and Sunday 24th June with 104 exhibitors in 27 different venues! Alnmouth is a stunning seaside location and a Festival Trail Guide will be on sale for £1 which will show visitors where they can find all the artists and craftspeople in a variety of venues. They are open from 10am until 5pm, along with "Music in the Park" on Saturday, 23 June from 4.30pm to 7.30pm with Northumbrian Pipes and Music, a Bar and Food. Holy Island Music Festival on June 25 to 28th. There is a full list of events for the month of June below, with web links where available for more information. For regular updates and news don't forget to follow us on Twitter and Facebook.